Revisiting the three lane highway. A rich competitive sandbox that handsomely rewards your time and energy, Dota 2 isn't just a game—it's a hobby and a passion. What is it? Valve's lavish successor to Defence of the Ancients, the mod that launched the MOBA genre. We originally reviewed Dota 2 in 2013. It has changed significantly since then, so much so that we decided to review it again. Our original review can still be found here. For more about why we've chosen to re-review certain games, head here. Given that it started life as a faithful recreation of the original Defence of the Ancients mod, you’d be forgiven for thinking of Dota 2 as the archetypical MOBA. Yet this isn’t the case: in practice, Dota 2’s purism sets it apart from the vast majority of games in this genre. What we think of as the MOBA really began with Heroes of Newerth and League of Legends—games that took that roughshod family of WarCraft custom maps and professionalised them, commercialised them, found them a form that would enshrine the MOBA at the top of the gaming world for the better part of a decade. Dota 2 is different. Adopted by Valve, that original mod became a tool for boosting Steam’s popularity in places where the service hadn’t reached the ubiquity that it enjoyed in Europe and North America—such as Russia, Southeast Asia and China, traditional strongholds of the DotA scene. And the best way to do this proved to be to remain steadfastly idiosyncratic. What this resulted in was a free to play MOBA where all of the heroes are free, where there are no account levels to grind, where design compromises imposed by the limitations of a noughties map editor have been embraced as design law. Dota’s leap from mod-scene darling to million-dollar phenomenon was whiplash-inducingly quick, its uncommercial credibility ripped away like a bandaid—so fast that you might not notice it was gone. What does this mean for you as a prospective player? Principally, it means that this is a dizzyingly deep competitive team strategy game whose core design benefits from fifteen years of unbroken refinement. It was in this strategic sandbox that the basic assumptions of the MOBA were established: two teams, three lanes, five heroes per team, towers, creeps, jungles, bases, and Ancients. On paper, your job is to lay siege to the enemy base and blow up the enemy ancient. In practice, your job is to manipulate the strategic, economic and psychological tempo of the match, a challenge whose variables change every time you play. You’ve also got to pick the right wizard, cast the right spells, and make sure they buy the right shoes. Obviously. This is Dota we're talking about. Dota 2’s learning curve is mountainous, but everybody has to start somewhere. You’ll start by picking a character you like and learning how to use their abilities effectively—lining up stuns, dishing out damage, turning foes into frogs, being the best helicopter or bear or fishman that you can be. Then you’ll learn something about how to play that hero as part of a team, which stat-boosting items to buy, and at what stage in the game you’re at your most powerful. You’ll learn some hard lessons about getting too close to enemy towers, about carrying a town portal scroll to get from place to place on time, about vision-granting wards and why everybody’s always yelling for someone else to buy them. Then you’ll improve, maybe learn a few more heroes, learn to look at your minimap, and then you’ll realise that you’re going to have to unlearn about 75% of the things you think you know in order to surmount the next step of Dota 2’s endless staircase. If you enjoy this process of learning, failing, and learning again, then thousands of hours will pass: and before you know it, you’ll be a below-average Dota 2 player like everybody else. Dota 2 is a game you will never finish learning, one that cannot be perfected either by its developers or its players. Although the community has always maintained certain customs about the best way to play, Dota itself has never enforced a particular methodology. This is the key thing that separates it from its peers: while other MOBAs have tended to fold the community metagame into the design of the games themselves—codifying player roles like tanks, supports and damage-dealers as fixed archetypes within their rosters—this doesn’t work quite the same way in Dota 2. This is a game with a simulationist heart, where a character isn’t a good tank because they were always intended to be so, but because of the specific way they interact with Dota 2’s underlying matrix of items, statistics, and map features. This is a game where the addition or subtraction of a tree in a single part of the map might change the viability of a hero—a game of endless interrelated butterfly effects. What this means is that Dota 2 is a game you will never finish learning, one that cannot be perfected either by its developers or its players. It goes without saying that it’s hard to learn: I’ve been playing consistently for the last six years and I’m pretty bad at it. But that journey has been one of the most rewarding and remarkable experiences I’ve ever had with a videogame. The process of learning, sharing knowledge and adapting to continual change brings people together: I have made lifelong friends playing Dota 2, people with whom I now share an extensive vocabulary rooted in this expansive, strange, beautiful game. That inherent flexibility is also the reason Dota 2 makes for such a compelling esport. Its complex sandbox allows for huge divergence in playstyles across teams, players, and regions. While restrictive metagames have emerged from time to time, they have never lasted: and in seven years of high-profile competition, the field has remained open to challengers from all parts of the world, with all sorts of different approaches to that core strategic challenge. Indeed, the creativity that Dota 2’s core simulation supports is something that the best players are ideally positioned to exploit, and watching the metagame get turned on its head by a brilliant bit of lateral thinking—something that happens at least once per International—is a pure thrill. If you’ve never felt a basketball stadium full of people explode with excitement because a teen millionaire has selected an unusual dragon, then, well, you’re missing out. It’d be impractical to recount every way that Dota 2 has changed since I first reviewed the game for PC Gamer back in 2013. It has a better in-game UI and a much improved main menu, including faster load times and a more sophisticated interface for pregame strategising. Most recently, Valve introduced new quality-of-life features like context-sensitive indicators to let you know when a hero or item has been altered in a patch. Given that balance passes now take place fortnightly, allowing players ready access to this information is very welcome. The Arcade was a flagship new feature when it launched, a freeform custom game lobby that recreates the conditions of the WarCraft III custom map scene from which the original DotA emerged. As in those days, a few game modes—chiefly tower defence mods and a couple of combat-heavy Dota variants—dominate. In part, the flagging popularity of the Arcade is due to the introduction of Turbo mode last year. Turbo fulfills the same purpose that many of those popular Arcade mods do: it allows you to play Dota—or something like Dota—more quickly and in a more forgiving environment, and its inclusion shows the benefits of relaxing Dota 2’s purist tendencies. This mode features much faster leveling—and therefore much shorter games—and downplays some of Dota 2’s more complex systems, like the item courier. The result is a version of Dota 2 that is both more accessible for new players and offers experienced players the chance to blow off a little steam. It’s easier and sillier, and ultimately less rewarding than a full game, but it’s perfect when you want to check out a new hero or when you don’t have the time or energy to commit to a match that could last more than an hour. Valve has spent years fiddling with ways to make money from Dota without compromising its core. This began with the Compendium—a sort of digital stickerbook released alongside each year’s International esports championship—and grew into Battle Passes, months-long event seasons where players race to complete challenges for points and prizes. This year’s Dota Plus subscription system is as close as Valve has come to putting game features behind a paywall. Your fee grants you access to enhanced tutorial features, including in-game skill and item suggestions based on crowdsourced data. There are also challenges to complete and stat-tracking gems to collect—a further variation on the ‘collect all the hats’ theme that powers Battle Passes. Dota Plus caused controversy when it was announced—this is a community highly sensitive to anything with a whiff of pay-to-win about it. But that hasn’t been my experience with the system. 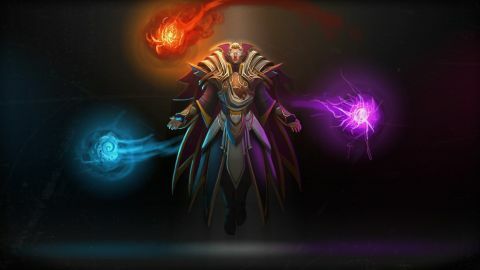 In fact, Dota Plus’ data-driven guides are frequently less useful than the player-made alternatives available in-game for free, and often make skill and item suggestions that aren’t helpful. A bit of extra guidance for new players is always welcome, but there’s nothing here to challenge or replace the value of having a friend show you the ropes. Between Plus and Battle Passes, then, the bulk of Dota 2’s microtransactions take the form of premium systems that let you complete challenges and win hats. There are greater and lesser expressions of this idea—from co-op dungeon minigames to Crystal Maiden’s gambling wheel—but it basically comes down to paying a fee to get better rewards from the matches you’d be playing anyway. Dota 2’s extraordinary generosity in terms of raw game-stuff, which sets it aside from every other game in this genre, means that Valve don’t have much left that they could meaningfully lock behind a paywall. This is a mixed blessing. On one hand, taken on their own merits, Dota 2’s premium options aren’t very compelling. There’s not much that you feel you’ll have to own unless not participating in the latest Battle Pass makes you feel like you're missing out. On the other hand: there’s not much that you feel you’ll have to own. Dota 2’s extraordinary generosity in terms of raw game-stuff, which sets it aside from every other game in this genre, means that Valve don’t have much left that they could meaningfully lock behind a paywall. In that scenario, it’s tempting to forgive them the odd underwhelming hat collection minigame. Every now and then, however, a feature creeps into one of these premium packages that feels like it belongs in the core game. That's happening right now—at the time of writing, owners of the 2018 International Battle Pass gain the ability to queue to play specific roles in their next ranked game. This is a learning from League of Legends—a further relaxation of that signature purism, acknowledging that while Dota 2 allows players to occasionally transcend or redefine team roles, the majority of players naturally sort themselves into positions anyway. And you know what: it's a really good idea to borrow, allowing you to bypass one of the most socially fraught moments in any ranked game—the bit where half your team argues about who has to play support. It's a shame that this feature is, at present, restricted to the International's latest money-spinner. Particularly because player conduct remains an issue for Dota 2. Valve have introduced, extended and tinkered with player reporting systems, matchmaking, and so on. They have taken steps to reduce the anxiety that surrounds ranked play by replacing granular numerical skill ratings with much broader, seasonal rank badges. They've implemented pop-up reports that tell you whether you're doing well or badly in the eyes of your fellow players, and added messages to the start of games telling you to be nice. The success or failure of these methods is, inevitably, invisible: you never know how many internet assholes the game is successfully keeping out of your games. Even so, Dota 2 remains a place where strangers scream at one another for making mistakes, where hostility has been entrenched by parts of the community as the norm and even desirable. It is certainly not the only game that has this problem, but it can feel unusually intense: perhaps because Dota 2 forces strangers together for so long, or makes them depend on one another so much. The same pressures that make this such a remarkable experience with friends can make it hellish, too, and after six years I couldn't assure you that this is going change. Dota 2 is one of my favourite games of all time, but I wouldn't necessarily recommend playing it solo until you know what you're getting yourself into. And yet for me, and for millions of other people, this strange, unlikely, unrepeatable game has become part of the daily fabric of playing games on the PC. It's a shortcut to a particular kind of competitive experience that I click on almost every day, and that has retained its ability to excite, fascinate and frustrate many years and many thousands of hours after other games have run their course. Its present custodian, Valve, has succeeded in improving it—in making it more accessible and adding new ways to play. But most importantly Valve has succeeded in preserving Dota—in protecting the spirit of a phenomenal game that predates this specific iteration and will hopefully outlive it, too.